This Act may be called the Maharashtra Ownership Flats (Regulation of the promotion of construction, sale, management and transfer) Act, 1963. This section shall come into force at once; and the remaining provisions of this Act shall come into force in ‘such areas, and on such dates as the State Government may, by notification in the Official Gazette, appoint, and different dates may be appointed for different areas. This Act shall remain in force up to and inclusive of the 31st day of March 21995 and shall then expire. 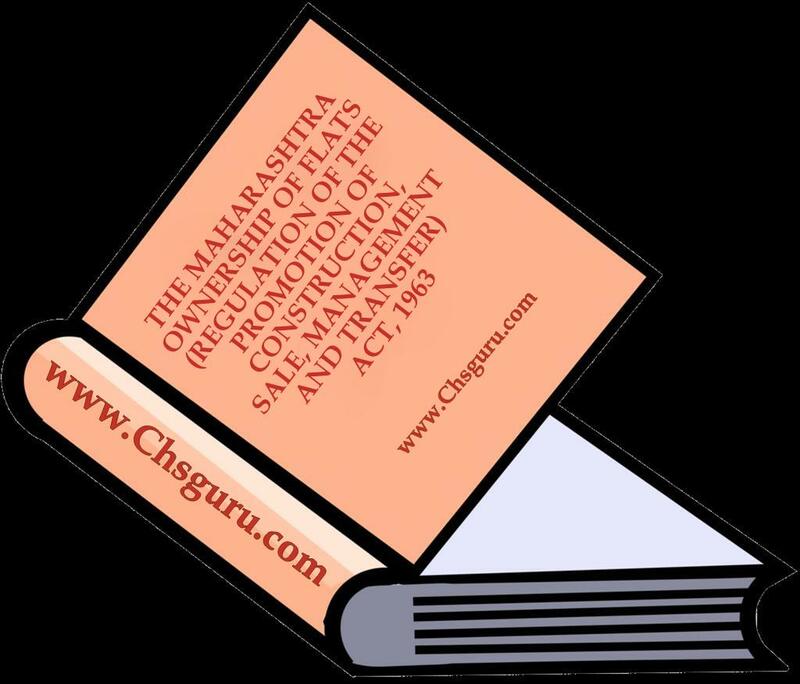 Section 7 of the Bombay General Clauses Act, 1904, shall apply upon the expiry of this Act, as if it had then been repealed by a Maharashtra Act. ‘Flat” means a separate and self-contained set of premises used or intended to be used for residence, or office, show-room or shop or godown for carrying on any industry or business] (and includes a garage), the premises forming part of a building 2[and includes an apartment]. 5(f) the expressions, “apartment” and” apartment owner” shall have the meanings, respectively assigned to them in the Maharashtra Apartment Ownership Act, 1970. Notwithstanding anything in any other law, a promoter who intends to construct or constructs a block or building of flats, all or some of which are to be taken or taken on ownership basis, shall in all transactions with persons intending to take or taking one or more of such flats, be liable to give or produce, or cause to be given or produced, the information and the documents hereinafter in this section mentioned. the nature, extent and description of limited common areas and facilities, if any. Section 4 was renumbered as sub-section (of that section by Mah.5 of 1984, s.2 (I). These words were substituted for the portion beginning with the words and such agreement” and ending with the words ‘may prescribed” by Mah. 36 of 1986. s.4 (a). the plans and specifications of the flat as approved by the concerned local authority. Sub-section (2) was added by Mah. 5 of 1984, s. 2(2). Provided further that, on presenting a document for registration as aforesaid if the person executing such document or his representative, assign or agent does not appear before the registering officer and admit the execution of the document, the registering officer shall cause a summons to be issued under section 36 of the Registration Act requiring the executants to appear at the registration office, either in person or by duly authorised agent, at a time fixed in the summons if the executant fails to appear in compliance with the summons, the execution of the document shall be deemed to be admitted by him and the registering officer may proceed to register the document accordingly. If the executant appears before the registering officer as required by the summons but denies execution of the document, the registering officer shall, after giving him a reasonable opportunity of being heard, if satisfied that the document has been executed by him, proceed to register the document accordingly. A promoter shall, while he is in possession and where he collects from persons who have taken over flats or are to take over flats sums for the payment of outgoings ever thereafter, pay all outgoings (including ground rent, municipal or other local taxes, taxes on income, water charges, electricity charges, revenue assessment, interest on any mortgage or other encumbrances, if any), until he transfers the property to the persons taking over the flats, or to the organisation of any such persons. Where any promoter fails to pay all or any of the outgoings collected by him from the persons who have taken over flats or are to take over flats, before transferring the property to the persons taking over the flats or to the organisation of any such persons, the promoter shall continue to be liable, even after the transfer of the property, to pay such outgoings and penal charges (if any) to the authority or person to whom they are payable and to be responsible for any legal proceedings which may be taken therefor by such authority or person. any other alterations or additions in the structure of the building without the previous consent of all the persons who have agreed to take fiats in such building. These words were deemed always to have been inserted by Mah. 11 of 1970. s, 3.
in any other area, to such Deputy Chief Engineer or to such other officer of the rank equivalent to that of Superintending Engineer in the Maharashtra Service of Engineers, of a Board established under section 18 of the Maharashtra Housing and Area Development Act, 1976, as the State Government may, by general or special order, specify in this behalf. Such competent authority, Deputy Chief Engineer or, as the ease may be, The other officer of a Board shall, after inquiry, record his decision, which shall be final. For the removal of doubt, it is hereby declared that clause (ii) of sub-section (I) of section 7 having been retrospectively substituted by clause (a) of section 6 of the Maharashtra Ownership Flats (Regulation of the promotion of construction, sale, management and transfer) (Amendment) Act, 1986 (hereinafter in this section referred to as “the Amendment Act”), it shall be deemed to be effective as if the said clause (ii) as so substituted had been in force at all material times; and the expression “or construct any additional structures” in clause (ii) of sub-section (1) of section 7 as it existed before the commencement of the Amendment Act and the expressions “constructed and completed in accordance with the plans and specifications aforesaid” and “any unauthorised change in the construction” in sub-section (2) of section 7 shall, notwithstanding anything contained in this Act or in any agreement, or in any judgment, decree or order of any court, be deemed never to apply or to have applied in respect of the construction of any other additional buildings or structures constructed or to be constructed under a scheme or project of development in the layout after obtaining the approval of a local authority in accordance with the building rules or building bye-laws or Development Control Rules made under any law for the time being in force. the promoter for reason beyond his control and of his agents, is unable to give possession of (he flat by the date specified, or a further agreed date and a period of three months thereafter, or a further period of three months if those reasons still exist, then, in any such case, the promoter shall be liable on demand (but without prejudice to any other remedies to which he may be liable) to refund the amounts already received by him in respect of the flat (with simple interest at nine percent per annum from the date he received the sums till the date the amounts and interest thereon is refunded), and the amounts and the interest shall be a charge on the land and the construction if any thereon in which the flat is or was to be constructed, to the extent of the amount due, but subject to any prior encumbrances. No promoter shall, after he execute an agreement to sell any fiat, mortgage or create a charge on the flat or the land, without the previous consent of the persons who take or agree to take the flats, and if any such mortgage or charge is made or created without such previous consent after the agreement referred to in section 4 is registered, it shall not affect the right and interest of such persons. As soon as a minimum number of persons required to form a co-operative society or a company have taken fiats, the promoter shall within the prescribed period submit an application to the Registrar for registration of the organisation of persons who take the flats as a co operative society or, as the case may be, as a company; and the promoter shall join, in respect of the flats which have not been taken, in such application for membership of a co-operative society or as the case may be of. a company. Nothing in this section shall effect the right’ of the promoter to dispose of the remaining flats in accordance with the provisions of this Act. If any property consisting of building or buildings is constructed or to be constructed 2[and the promoter submits such property to the provisions of the Maharashtra Apartment Ownership Act, 1970, by executing and registering a Declaration as provided by that Act] then the promoter shall inform the Registrar as define in the Maharashtra Co operative Societies Act, 1960, accordingly; and in such cases, it shall not be lawful to form any co-operative society or company. Section 10 was renumbered as sub-section (1) of that section and sub-section (2) was added by Mah. 15 of 1971. Sch. This portion was substituted for the portion beginning with “and the apartment takers propose to submit” and ending with “as required by that Act” by Mali. 53 of 1974, s. 6(a). A promoter shall take all necessary steps to complete his title and convey, to the organisation of persons, who take flats, which is registered either as a co-operative society or as a company as aforesaid, or to an association of flat-takers [apartment-owners] his right, title and interest in the land and building, and execute all relevant documents therefor in accordance with the agreement executed under section 4 and if no period for the execution of the conveyance is agreed upon, he shall execute the conveyance within the prescribed period and also deliver all documents of title relating to the property which may be in his possession or power. Every person who has executed an agreement to take a flat shall pay at the proper time and place the price, his proportionate share of the Municipal taxes, water and electricity charges, ground rent (if any) and other public charges in accordance with his agreement with the promoted and where the co operative society or company of persons taking the flats is to be constituted, co-operative in the formation of such society or company, as the case may be. Any person who has executed an agreement to take a flat and who, without reasonable excuse, fails to comply with or contravenes sub section (1) shall, on conviction, be punished with fine which may extend to two thousand rupees. No person, who is a promoter, or who is in- charge of management or connected with the management of a block or building of flats, whether as member of a managing committee. director, secretary or otherwise, or is responsible for the maintenance thereof (herein after in this section referred to as the manager”) shall, without just and sufficient cause, either by himself or through any person, cut off, withhold, or in any manner curtail or reduce, any essential supply or service enjoyed by the person who has taken a flat (or by any person in occupation thereof through or under him) in respect of the flat taken or agreed to be taken by him. The person who has taken or agreed to take the flat or the occupier may, if the manager has contravened the provisions of sub-section (I), make an application to the Court for a direction to restore such supply or service. 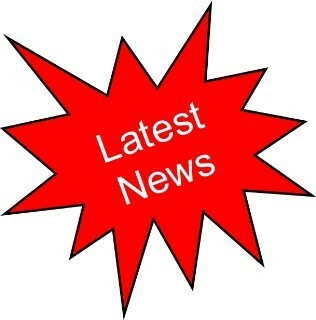 If the Court on enquiry finds that the applicant or the person through or under whom he is in occupation has been in enjoyment of the essential supply or service, and that it was cut off or withheld or curtailed or reduced by the manager without just and sufficient cause, the Court shall make an order directing the manager to restore such supply or service before a date to be specified in the order. 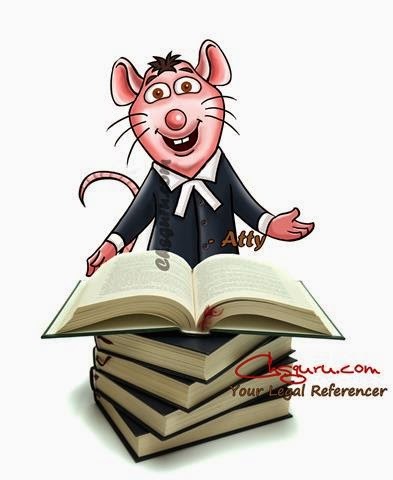 The manager who fails to restore the supply or service before the date so specified, shall for each day during which the default continues thereafter, be liable upon a further direction by the Court to that effect, to fine which may extend to one hundred rupees. elsewhere, the Court of the Civil Judge (Senior Division), shall have jurisdiction to decide any application made under sub-section (2), and no other Court shall have jurisdiction to entertain such application. No appeal shall lie from any order made on such application; but in Greater Bombay a bench of two judges of the Court of Small Causes, Bombay which shall not include the Judge who made such order, and elsewhere the District Court, may for the purpose of satisfying itself that the order made was according to law, call for the case in which such order was made and the Bench or Court aforesaid or the District judge or any Judge to which the case may be referred by the District Judge, shall pass such order with respect thereto as it or he thinks fit. Any manager who contravenes the provisions of sub-section (1) shall, on conviction be punished with imprisonment for a term which may extend to three months, or with fine, or with both. The offence under sub-section (6) shall be cognizable, and shall not be triable by any Court inferior to that of a 1[Metropolitan Magistrate, or a Judicial Magistrate of the First Class]. Explanation II. - For the purposes of this section, withholding any essential supply or service shall include acts or omissions attributable to the manager on account of which the essential supply or service is cut off by the local authority or any other competent authority. These words were substituted for the words “Presidency Magistrate or a Magistrate of the First Class” by Mah.12 of 1986, s. 3. Any promoter who, without reasonable excuse, fails to comply with, or contravenes, the provisions of section 3,4, 5 (save as provided in sub-section (2) of this section), 10 or 11 shall, on conviction, be punished with imprisonment for a term which may extend to three years or with fine, or with both. Any promoter who commits criminal breach of trust of any amount advanced or deposited with him for the purposes mentioned in section 5 shall, on conviction, be punished with imprisonment for a term which may extend to five years, or with fine, or with both. 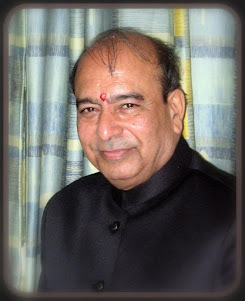 Any promoter who, without reasonable excuse, fails to comply with, or contravenes, any other provision of this Act or of any rule made thereunder, shall, if no other penalty is expressly provided for the offence, be punished, on conviction, with imprisonment for a term which may extend to one year, or with fine which may extend to ten thousand rupees, or with both. Notwithstanding anything contained in the Code of Criminal Procedure, it shall be lawful for a Metropolitan Magistrate or a Judicial Magistrate of the First Class to pass on any person convicted of any offence under this Act a sentence of imprisonment or of fine or both as provided in the relevant section of this Act, in excess of his powers under section 27 of the said Code. Notwithstanding anything contained in sub-section (1), where an offence under this Act has been connected with the consent or connivance of, or is attributable to any negligence on the part of any director, manager, secretary or other officer of the company, such director, manager, secretary or other officer shall also be deemed to be guilty of that offence and shall be liable to be proceeded against and punished accordingly. 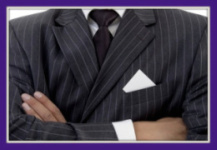 “director” in relation to a firm means a partner in the firm. The Stare Government may, subject to the condition of previous publication, by notification in the Official Gazette, make rules for carrying into effect the provisions of this Act. Clause (b) was substituted for the original by Mah 36 1986. s. 9.
any other matter which has to be, or may be, prescribed by rules. Every rule made under this section shall be laid as soon as may be after it is made before each House of the State Legislature while it is in session for a total period of thirty days which may be comprised in one session or in two successive sessions, and it, before the expiry of the session in which it is so laid or the session immediately following, both Houses agree in making any modification in the rule or both Houses agree that the rule should not be made, and notify such decision in the Official Gazette, the rule shall from the date of publication of such notification have effect only in such modified form or be of no effect, as the case may be; so however that any such modification or annulment shall be without prejudice to the validity of anything previously done or omitted to be done under that rule. in section 11, the words and figure “in accordance with the agreement executed under section 4” shall be read as if the words “in accordance with any agreement made in respect thereof” had been substituted and the words “within the prescribed period” shall, be read as if the words “within three months from the commencement of this Act” had been substituted. Nothing in this Act shall apply to the Maharashtra Housing and Area Development Authority and the Boards established under the Maharashtra Housing and Area Development Act, 1976.